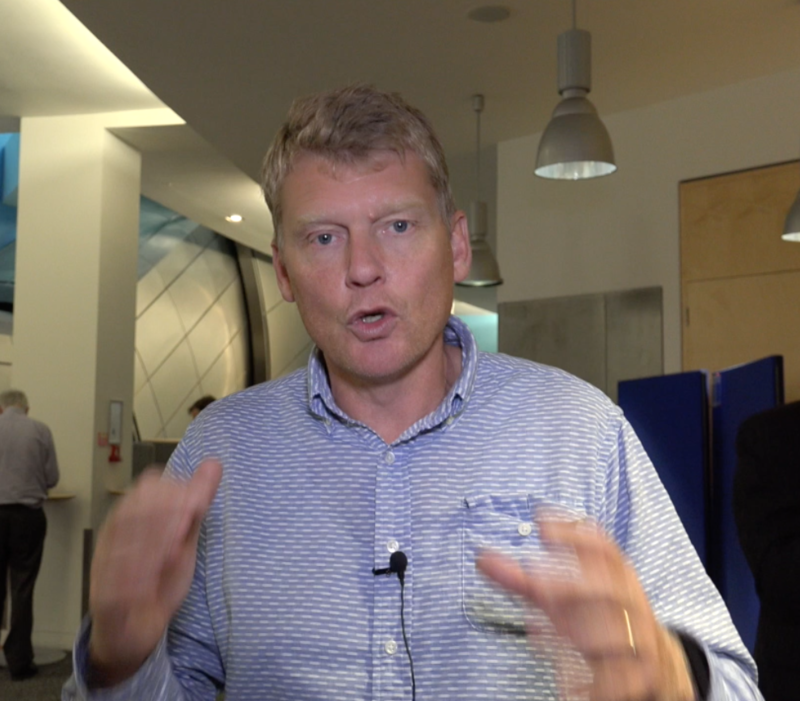 Tom Heap, presenter from BBC Countryfile: “I’m here at the LEAF Public Engagement Conference talking about how we can get people more closely involved with food and farming and the whole chain of how stuff arrives on our plate. It’s a very opportune moment because post Brexit this industry is worrying about what will happen to it. Some people see it as an opportunity as we move away from Brussels, and all those laws and all that money that comes from there which has been three and a half billion pounds support over the last few years. That is going to go." "Now it may be replaced by something domestic but I think the feeling is that if we lack that support and love from Brussels, what is going to come in to replace it? And could it be the public that do it? Could it be us? Could we learn to love and engage with farming in a way that would help to secure farming’s place in this country?" "Just one cautionary note I would say is that I think we can over estimate the amount to which the bulk of the public want to engage with these things. Not everybody does. A lot of people just want a choice of good food that is reasonably priced. That’s it. They are not interested. We shouldn’t expect everybody to be interested. Just a word of warning in these engagement conversations that you don’t always end up speaking to those who are passionately engaged because those are the people who come forward. A lot of people ain’t! They just want good food that is reasonably priced." "Absolutely excellent - thoroughly enjoyed the conference. Will look forward to attending the conference next year." "Great day and facilities. Congratulations on a very successful event and hopefully it will grow." "LEAF is one of the best informed and most sensible organisations within agriculture. More of the same." "Thanks very much. I felt that the progression through the morning's presentations worked very well." "Enjoyed the day - thought New Citizenship were particularly good and thought provoking." "I think that Brexit inevitably came up but it wasn't a strong theme - maybe it should have been?" "Extremely professional conference. How could more farmers be encouraged to attend? Hosted by an agric college perhaps?" "Enjoyed my first LEAF Public Engagement conference and look forward to hearing more about Open Farm Sunday plans."